Fujifilm’s X-series of cameras has become synonymous with high quality. Not only do they deliver high-quality images, they also feature stunning design and exceptional build quality. Much of the cameras’ success is down to the technology packed into the superbly designed bodies. Don’t be fooled by the retro looks, underneath the stylish exteriors are cutting-edge camera technologies that will help you get great shots every time you press the shutter button. Much of this technological know-how comes from Fujifilm’s many years of experience gleaned through being a manufacturer of high-quality films, but the company also values feedback from photographers who have bought their cameras and will often incorporate customer suggestions into camera design and functionality. 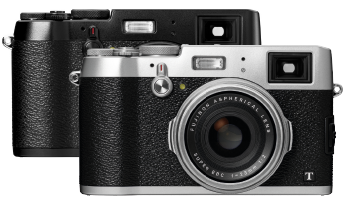 With retro styling and solid build quality, the X100T’s line-up of features include an advanced hybrid viewfinder, electronic shutter mode, built-in Wi-Fi with remote function, full control dial and a new Film Simulation mode. With a 16-megapixel X-Trans CMOS II sensor, 23mm f/2.0 lens plus super-fast AF, it’s full of impressive spec, and thanks to the new electronic shutter images can now be captured at an incredible 1/32000sec – ideal for those who love to capture action. The newly developed optical viewfinder allows you to manually focus and use advanced features such as focus peaking and digital split imaging, giving greater creative control. 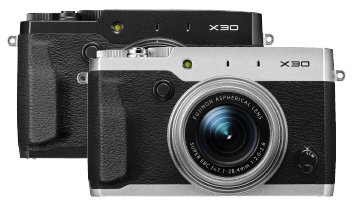 Beautifully designed and offering a wealth of creative functions, the X30 is the perfect compact camera for photographers who demand high image quality from a model that also offers the extra versatility of a zoom lens. The 4x zoom lens is manually operated, so it’s easy to fine-tune your compositions, while the 12-megapixel X-Trans CMOS II sensor delivers superb results, all viewed on the tilting three-inch LCD monitor. Other features include Wi-Fi functionality and the newly developed Real Time Viewfinder. A handy control ring plus six programmable function buttons provide plenty of control over your shots, while the Classic Chrome Film Simulation mode delivers retro-chic pictures. The most pocketable model in the X-series premium compact range, the XQ1 certainly doesn’t compromise on image quality, despite its svelte proportions. A 12-megapixel X-Trans CMOS II sensor sits at the heart of the camera to deliver high-quality images, plus there’s also a motorised 4x zoom lens that features a wide maximum aperture of f/1.8 at the wide-angle setting. This delivers professional-looking out-of-focus background effects. Further functions include built-in digital filters and creative picture-taking modes, super-fast autofocusing, film simulation functions and Wi-Fi connectivity for quick and easy image sharing via smartphone or tablet. If photography is something that you would like the whole family to be part of then it can be best to choose a camera that offers simple, fuss-free operation. Fujifilm family compacts allow you to do just that, the easy-to-use models deliver great results. If you’re a particularly active family – or don’t want to worry about your camera being dropped or damaged – then the XP70 with its tough construction is ideal. As well as being shockproof, dust proof and freeze proof, the Fujifilm tough cameras are waterproof to impressive depths, which makes them ideal for extreme watersport fans, climbers and those who love adventure holidays. If you want to take great pictures, but don’t want to worry about damaging your camera, the XP70 is the model for you. A tough customer it’s waterproof, shockproof, dust proof and freeze proof so it’ll take whatever you throw at it! Despite its tough exterior, the XP70 doesn’t skimp on features, with a 5x optical zoom lens, a wide range of picture-taking functions providing options aplenty and Wi-Fi connectivity making it easy to share your shots via a smartphone or tablet. 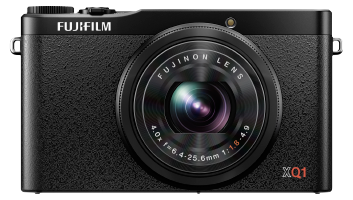 Six different Fujifilm compact system camera bodies are available, with each one offering a great combination of advanced features, stunning design and fine build quality.